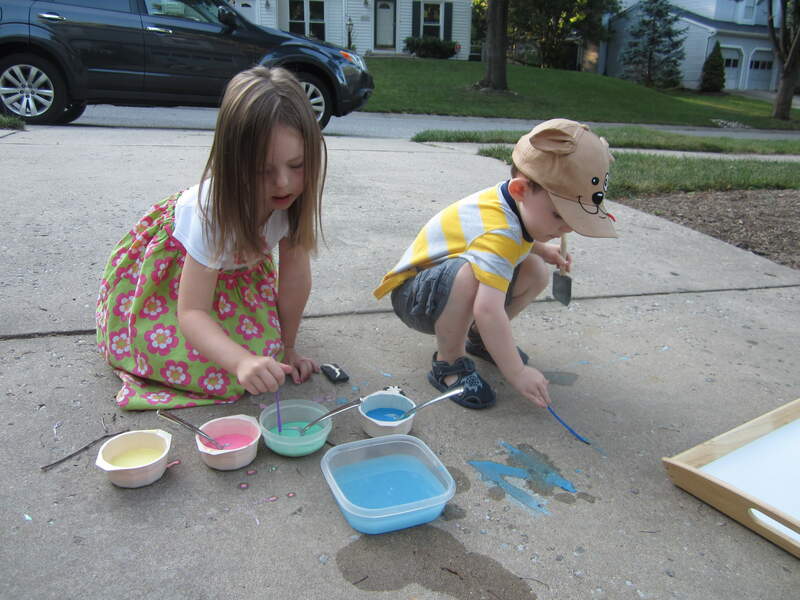 Today for our Frugal Family Fun activity, we decided to make sidewalk chalk paint. I already had all the ingredients on hand, and I thought it would be something my kids would really enjoy. 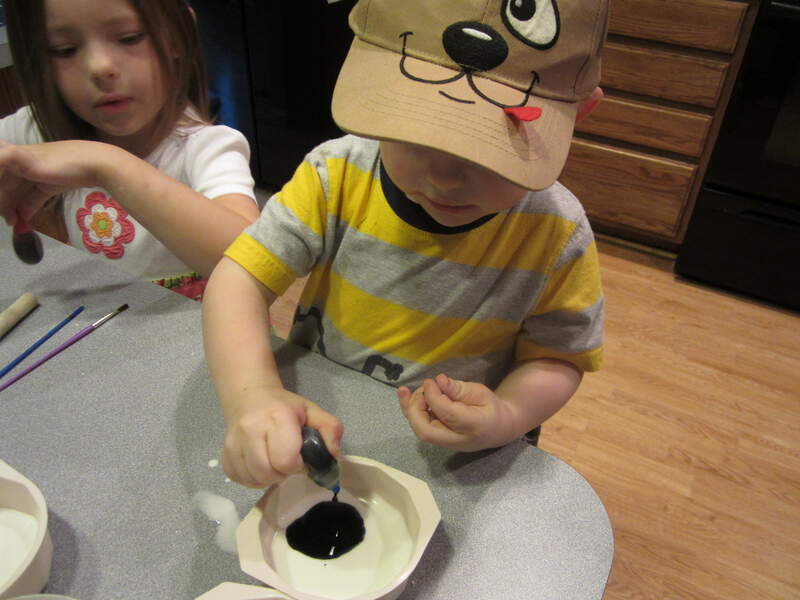 We started off by mixing together 1 cup of cornstarch and 1 cup of water in a big bowl. After the cornstarch was dissolved, we divided the mixture into 4 smaller bowls so that we could make 4 different colors of paint. 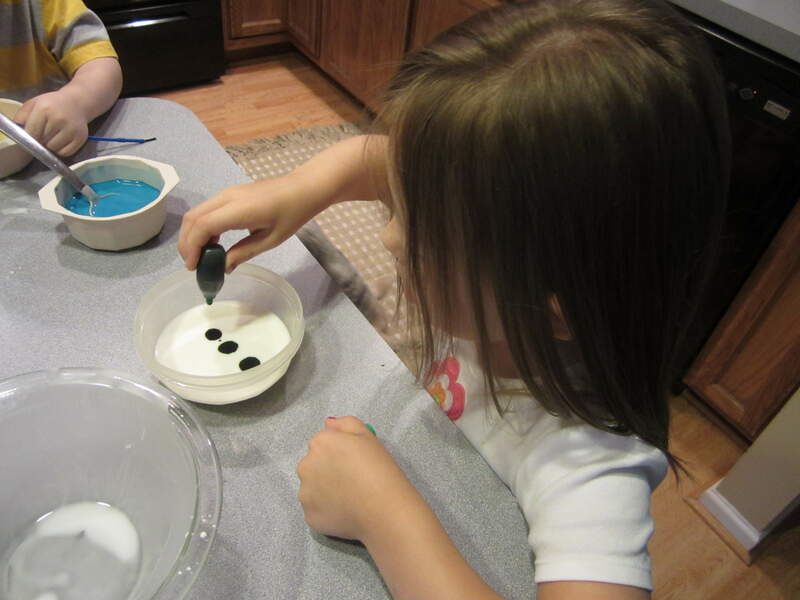 To turn the mixture into paint, you simply add several drops of food coloring, until the color is as dark as you like. As you can see, my boy got a little too enthusiastic with the food coloring! 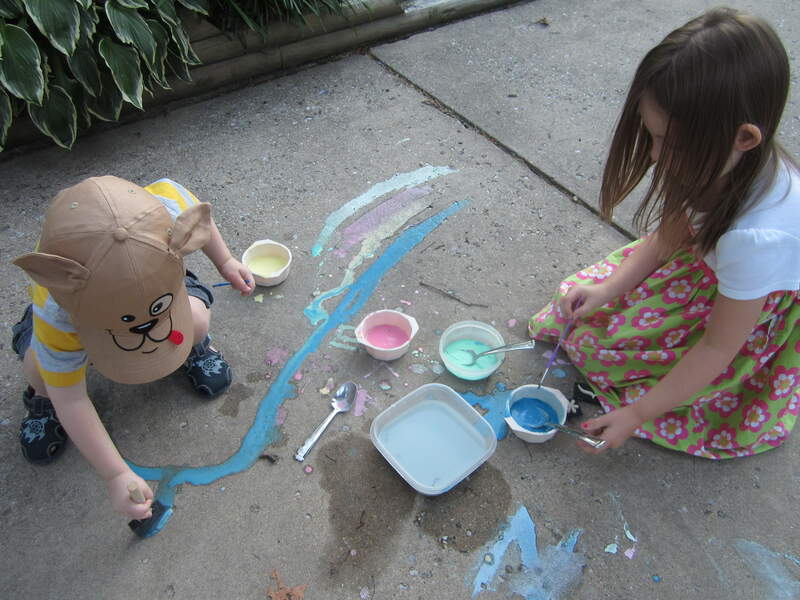 We then took our paints out to the driveway to test them out. We only had one big foam paint brush and a couple of little brushes from some old paint-by-number kits. The foam brush worked the best…we also tried some letter stamps, but the paint just dripped off of those, so they weren’t really useful at all. 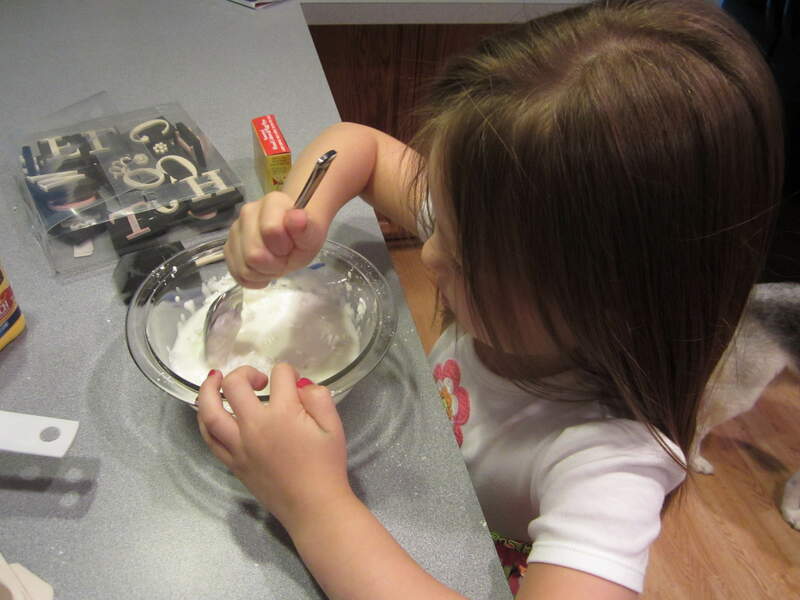 Did you do any fun and frugal activities today? Looks like lots of fun. We will be making the sidewalk paint soon I know my kids will really like it. I will be sure to pick up a few foam brushes now that I know they work the best. Great idea Erin! Our outdoors activities have been limited due to the huge amounts of mosquitos and other bugs that are out here in Maine. I’m hoping we get some relief soon.